Weird facts, unusual information, bits and pieces of miscellany that we've been accumulating for ever and ever. Uncommon knowledge that's kind of fun to read, and might be useful in esoteric conversations. Gloria Macapagal-Arroyo of the Philippines and Megawati Sukarnoputri of Indonesia have remarkable similarities. Both are 54-year-old women who had been vice-presidents before becoming presidents in place of their predecessors who were ousted in the year 2001. Both of them were daughters of former presidents of the world's two largest archipelagos who lost the presidency in 1965 to dictators. Both women have three children and their husbands were being pursued by controversy. Both visited Washington in their first year as presidents and met US President George W. Bush, another offspring of a former president who also assumed power in 2001. Arroyo and Sukarnoputri are not entirely similar though. The former is a Catholic Christian from the world's fifth largest Christian country while the latter is a Muslim from the country with the world's largest Muslim population. Marcelo del Pilar, the father of Philippine journalism; Francisco Balagtas, the father of Philippine literature; Jose Corazon de Jesus, father of balagtasan; Nicanor Abelardo, father of kundiman; Francisca Reyes-Aquino, mother of Philippine dances; Gerry de Leon, a father of Philippine movies; Guillermo Tolentino, one of the fathers of Philippine arts; Jose Reyes, a father of Philippine medicine; and Dely Magpayo, a mother of Philippine broadcasting, were all born in Bulacan province. Atang dela Rama, the mother of Philippine theater, lived in Bulacan. Aside from national fathers and mothers, Bulacan also produced queens, namely: Lydia de Vega, Asia's former sprint queen; Regine Velasquez, Asia's song bird; and Michelle Aldana, Miss Asia-Pacific beauty queen. Babe Ruth, the American baseball legend who had over 200 homeruns in his professional career, once played in the baseball field of the Rizal Memorial Sports Complex. In 1934, Ruth and another baseball great, Lou Gehrig, selected an All-Star team that toured Asia where they played 18 games. The All-Star selection stopped in the Philippines and played at the Rizal Memorial Sports Complex from December 2 to December 9. Gehrig beat Ruth when he scored the first recorded homerun at the Rizal complex on December 2. Ruth scored the 2nd homerun on the same day and 4th homerun on December 9. The other players of the same selection who also scored homeruns at the Rizal complex were Earl Averill and C. Gehringer. In a speech before an American delegation early in 2002, President Gloria Macapagal-Arroyo has claimed that her Cabinet officials include seven Harvard graduates and three Wharton alumni. The 54-year-old president added that four of her economic managers had been top executives on Wall Street prior to joining government service in the Philippines. President Arroyo, herself, has a Ph. D. in Economics, which she earned from the University of the Philippines (UP). Before this, she had studied for two years at the Georgetown University where she had former US President Bill Clinton as a classmate. Coconut Workers Own San Miguel Corp. There are 3 million hectares planted to coconut trees, the second largest agricultural area after rice fields (4 million hectares). The coconut industry employs about 3.4 million Filipinos. Some 18 to 20 million more Filipinos depend on the industry for their livelihood, according to the United Coconut Associations of the Philippines (UCAP). About 90 percent of those employed in the coconut industry are small farmers, who earn P10,000 a year or P25 a day. Coconut farmers are among the most exploited segments of Philippine society. Driven to squalor by Marcos cronies who thrived on the so-called coconut levies, the coconut farmers represent the oldest sector of the domestic economy. In 1642, the Spanish colonial government forced each Filipino to plant 200 coconut trees, because Spanish shipbuilders had a large need for charcoaled coconut shells and coconut husks. Coconut products have gradually become the country's top export, accounting for 35 percent of all exports in the 1950s and 1960s. In the 1970s, coconut products were the country's leading exports of raw materials. New economic policies initiated under the Aquino administration led to a slow-phased shift to industries, which eventually put the coconut industry at the tailend of government priorities. In 2001, coconut exports represented only 1.6 percent of the country's total exports. In 1971, the dictatorial government of the late President Ferdinand Marcos established the Coconut Investment Fund (Cocofund) by imposing a levy of P15 per 100 kilograms of copra for nine years between 1973 and 1982. Supposedly, the fund should serve as subsidy to coconut products for domestic consumption. However, the cocofund, which amounted to a total of P9.695 billion by August 1982, was turned into a private fund used to finance three financial institutions, including the United Coconut Planters Bank (UCPB). The cocofund was also used to acquire the majority shares of San Miguel Corporation, the country's largest food and beverage conglomerate. A known Marcos crony, Danding Cojuangco, still retains the chairmanship of both UCPB and San Miguel until today. The fund, which is estimated at over P100 billion today, has yet to be transferred to the accounts of the coconut farmers. In May 2000, the so-called "love bug" computer virus spread worldwide and infected millions of computer files. The virus, quickly infiltrated government and corporate computer systems around the world. Described as the worst computer virus ever created, the "love bug" wrought damages amounting to US$10 billion. It could not have been big news in the Philippines, if not for the fact that the suspected creator of the virus is a Filipino. He was identified as Onel de Guzman, a student of AMA Computer College in Quezon City. Waling-waling or Vanda sanderiana, is described as the "Queen of Philippine Orchids". One of the largest species in the world, waling-waling was discovered by German Taxonomist Heinrich Gustav Reicheinback in Mindanao in 1882. Since then, it has become the most sought-after flower in Mindanao and helped in the flourishing of the world's multibillion-dollar orchid and cutflower industry. The massive deforestation in Mindanao threatens the region's wildlife, including waling-waling which used to abound in the tropical forest of Mount Apo and its surrounding areas. Today, it is believed that Waling-Waling has more species abroad, particularly in Singapore, Thailand, Hong Kong and Hawaii. Of the 9,000 flowering plants in the world, about 3,500 are endemic to the Philippines. Human activities, however, pose a great threat to their existence. Michael Jackson wanted to become a singer because his mom used to sing to him as a child. He believed he got his talent from his mother Katherine and God. When Michael and his brothers were signed to Motown as the Jackson 5, he and his brother Marlon lived with Diana Ross until their father Joseph bought their house in Los Angeles. I always thought it was just Michael that lived with Diana. I didn’t realize that Marlon lived with her too. Michael and his siblings used to dance around the house in their socks when they were kids. I think that is cute that they were able to do that together. Despite how great a dancer Michael was, he never had a formal training. He was naturally able to dance. It took Michael a short period of time to learn the dance steps he performed in his video “Thriller”. Speaking of Michael’s dancing, he learned the moonwalk from breakdancer Michael “Boogaloo Shrimp” Chambers from the 80s movies Breakin’ and Breakin’ 2: Electric Boogaloo. Michael learned the dances he performed on the Motown 25th Anniversary Special in less than a year. Did you know that Michael used to love to read? I have that in common with Michael because I love to read too. He and his mother used to go to bookstores all of the time and pick up books to read. Michael wasn’t the first artist to write “We Are The World”. Quincy Jones wanted Stevie Wonder to write the song, but Stevie ended up not doing the song. Michael was Quincy’s second choice to write it. That was a good decision because the song is one of the biggest singles of all time. Have you heard that Michael was the closest to his sister Janet Jackson? When he was growing up, he was closest to his brother Marlon. When they got older, Michael was closest to Janet. I think that might be because she didn’t need anything from him the way his other siblings did. They had things in common since they were both successful. Michael thought that Janet was a fierce performer. He knew that they had similar styles, but he really enjoyed her work. If you can believe it, Michael considered his cd “Bad” a flop. It didn’t sell as many copies as “Thriller” which is why he considered the cd a flop. It wasn’t a flop by any means. The cd sold over 25 million copies in the United States alone. Singers can’t sell that many cds now. He was only competing against himself for record sales. Michael’s cd “Dangerous” was his second highest selling cd. Michael considered “Childhood” his most honest song. I’m not surprised since he was robbed of a childhood thanks to Joe Jackson. In case you didn’t hear, “Billie Jean” was allegedly written about Paula Abdul’s relationship with his older brother Jackie. There were reports that Paula and Jackie were having an affair and she was pregnant. Jackie was married to his first wife at the time that he was allegedly having an affair with Paula. In related trivia: Michael wrote “Billie Jean” in five minutes. He also wrote the song in his car while he was traveling with his brother Marlon. 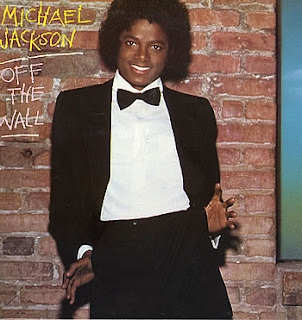 Paul McCartney wrote “Girlfriend” from the “Off The Wall” cd specifically for Michael. They went on to do two other songs together. I knew that they did “The Girl is Mine” and “Say, Say, Say”, but I didn’t know he wrote “Girlfriend”. In the movie The Wiz, Michael was originally only supposed to sing in one song, but another song was added in for him to sing. 1. Don’t stick out your tongue if you want to hide your identity. Similar to fingerprints, everyone also has a unique tongue print! 2. Your pet isn’t the only one in the house with a shedding problem. Humans shed about 600,000 particles of skin every hour. That works out to about 1.5 pounds each year, so the average person will lose around 105 pounds of skin by age 70. 3. An adult has fewer bones than a baby. We start off life with 350 bones, but because bones fuse together during growth, we end up with only 206 as adults. 4. Did you know that you get a new stomach lining every three to four days? If you didn’t, the strong acids your stomach uses to digest food would also digest your stomach. 5. Your nose is not as sensitive as a dog’s, but it can remember 50,000 different scents. 6. The small intestine is about four times as long as the average adult is tall. If it weren’t looped back and forth upon itself, its length of 18 to 23 feet wouldn’t fit into the abdominal cavity, making things rather messy. 7. This will really make your skin crawl: Every square inch of skin on the human body has about 32 million bacteria on it, but fortunately, the vast majority of them are harmless. 8. The source of smelly feet, like smelly armpits, is sweat. And people sweat buckets from their feet. A pair of feet have 500,000 sweat glands and can produce more than a pint of sweat a day. 9. The air from a human sneeze can travel at speeds of 100 miles per hour or more — another good reason to cover your nose and mouth when you sneeze — or duck when you hear one coming your way. 10. Blood has a long road to travel: Laid end to end, there are about 60,000 miles of blood vessels in the human body. And the hard-working heart pumps about 2,000 gallons of blood through those vessels every day. 11. You may not want to swim in your spit, but if you saved it all up, you could. In a lifetime, the average person produces about 25,000 quarts of saliva — enough to fill two swimming pools! 12. By 60 years of age, 60-percent of men and 40-percent of women will snore. But the sound of a snore can seem deafening. While snores average around 60 decibels, the noise level of normal speech, they can reach more than 80 decibels. Eighty decibels is as loud as the sound of a pneumatic drill breaking up concrete. Noise levels over 85 decibels are considered hazardous to the human ear. 13. Blondes may or may not have more fun, but they definitely have more hair. Hair color helps determine how dense the hair on your head is, and blondes (only natural ones, of course), top the list. The average human head has 100,000 hair follicles, each of which is capable of producing 20 individual hairs during a person’s lifetime. Blondes average 146,000 follicles. People with black hair tend to have about 110,000 follicles, while those with brown hair are right on target with 100,000 follicles. Redheads have the least dense hair, averaging about 86,000 follicles. 14. If you’re clipping your fingernails more often than your toenails, that’s only natural. The nails that get the most exposure and are used most frequently grow the fastest. Fingernails grow fastest on the hand that you write with and on the longest fingers. On average, nails grow about one-tenth of an inch each month. 15. No wonder babies have such a hard time holding up their heads: The human head is one-quarter of our total length at birth but only one-eighth of our total length by the time we reach adulthood. 16. If you say that you’re dying to get a good night’s sleep, you could mean that literally. You can go without eating for weeks without succumbing, but eleven days is tops for going without sleep. After eleven days, you’ll be asleep — forever!